X-Files meets Hamlet in a Fantasy World! This is a great start for a series that links two genres that rarely meet: conspiracy science fiction and second world fantasy (with a taste of steampunk). The action is very fast paced and there is always something going on. Great stuff! This story revolves around a set of characters that include the son and daughter of the king and queen, the princes' sailing friends and tutor as well as the daughter's nanny. Other characters are later introduced into the story line as well. The story involves a world where one alien race has come to conquer and consume the occupants of the world and a second alien race who are attempting to stop them. In the process they develop the inhabitants with both technology and mental abilities to fight the conquering aliens. The story starts when the prince begins to experience visions and to know what is going on around him even when he is not present. At the same time the queen plots to remove the king and assume the role of leader. This sets up a situation that is involved in the heart of the story where the small group must escape and find a way to resolve the political conflict and at the same time prevent the aliens from gaining dominance. The story line was good, the action was light though. There was far to much soul searching and indecision to actually survive such situations. The narration was very stilted and poorly done especially for the male parts. The narrator was actually better on the female characters but never gained momentum to bring off a great performance. This book was provided free with the expectation of an honest review. 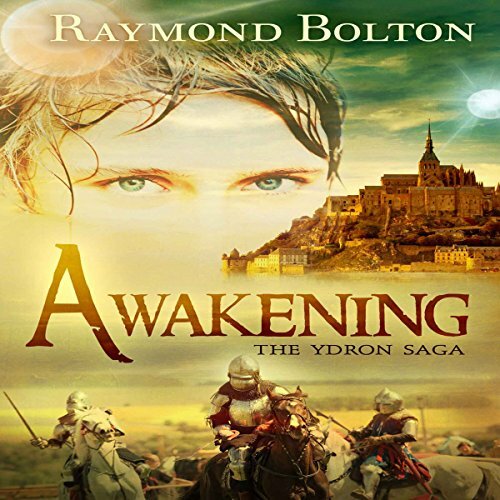 Awakening is an elegant and original fantasy story in a novel setting. It has exciting intrigue and action alongside inspired themes of enlightenment and friendship.